After the 1987 sale of the family insurance business in New Westminster, Martin Kastelein started his notary practice. As a full time BC notary public for over 30 years, he specializes in Real Estate Transfers, assisting clients to create a Will, acting as an Estate Executor, preparing Enduring Power of Attorney documents, Representation Agreements and Advanced Directives. As the first BC Notary to have a website in 1999, he is known in the notary and real estate community as one who leverages the use of technology to provide Premier service to his clients. His notary practice is a frequent supporter of local charities such as Union Gospel Mission and Ride for Refuge. When not at his desk, he can be found somewhere in BC training for a cycling event, fishing, kayaking or snowboarding. He looks forward to meeting new clients each day. Feel free to contact him for any notary matter. My “Sustainability Project” includes being a “less” paper office and reducing our environmental footprint. 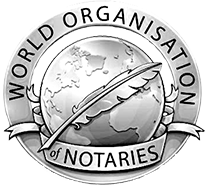 My office takes great pride in providing quality notary legal services in a friendly, professional environment.